Husband and wife team who specialize in creating beautiful, functional spaces. We manage your project from initial concept and design all the way through to the renovation and construction process. We take great care in every detail, every step of the way. As one of the most innovative construction companies in Henry County, we attribute our outstanding reputation to the customer relationships we’ve developed. We believe that all of our customers deserve the highest level of service, and we are committed to providing just that. Get in touch today to learn more. 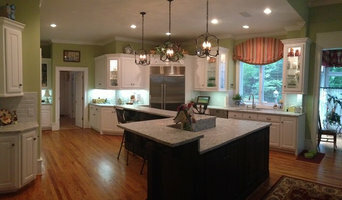 We are a Design/Build Remodeling Company. From a free initial consultation where we discuss wants, needs, priorities and ideas, through design development with 3D renderings so you can see what the final project will look like, through fixtures and finishes selections, through construction and after construction, we are your guide to the complicated maze of construction. Just ask our clients about the great experience we provided for their projects. Strott & Company, LLC. - Building a better place to live... As a full service construction professional, my goal is to provide solutions to residential construction projects that are customer-focused and blend the art and science of construction. I am excited to speak with you about your home project. From kitchens, bathrooms, or outdoor living to whole home remodeling and new construction, I bring 30 years of experience, a sharp eye for detail, and a common sense approach to building together to make the process a success for you. I combine my experience and expertise in this industry with your dreams to bring your plans to life. 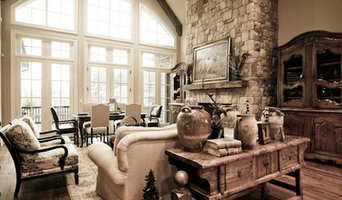 Bickley Design Build Services Inc.
For 30 years we have turned your design dreams into reality. Using a state of the art 3-D Design Program, a unique Bickley Design & Construction Management Processes we give you a value driven exclusive product. 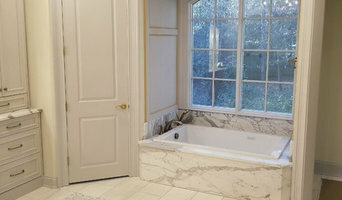 Artisan Built is a full service remodeling and custom home construction firm servicing Atlanta and the Lake Oconee area. As custom home builders, we take pride in providing unsurpassed craftsmanship and attention to detail. We understand the importance in selecting the right builder for your home and will ensure the concept of your dream home evolves into reality using a low-stress, single point of contact communication and management style. We guide you to create the home of your dreams, using a simple, structured process to maximize efficiency and minimize disruption in your life. Realistic cost estimates and trust in your builder are paramount in the establishment of an enjoyable building experience. We hope you will consider us for your remodeling or custom home project! From site specific building plans and construction contracting to parks and entire neighborhoods, Live/Work Building Company, LLC provides design/build services for the east metro Atlanta area. Mike Wood Builders LLC. is a full service, building and remodeling contractor. We are state licensed and insured for plumbing, electrical and contracting. We can serve all your residential to light commercial needs. Charles Miller Companies is a full service design-build company that creates incredible outdoor environments that include custom pools, spas. outdoor kitchens, fire places, and beautiful landscapes. 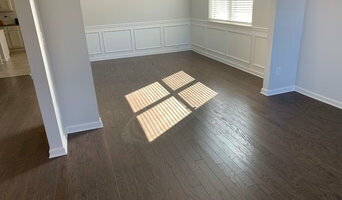 We are a new home and Design Build firm located in the Warner Robins/Perry, Georgia area. teelCo is a Design-Build General Contractor who specializes in commercial, retail, agricultural and industrial buildings. SteelCo is also a nationwide steel building provider able to drop ship your next building anywhere you need it. We make shopping for your home fun and pleasurable. Design-build firms take on the responsibilities of architects, contractors and construction companies, all under one roof. These full-service firms focus on a streamlined design-build process — from the initial design to the estimating phase to physical construction — in the hope of creating an efficient experience for both the client and the company. Because the entire project is happening within one company, Milledgeville design-build firms are able to overlap the design and construction phases of the project, which often speeds up the project significantly. In addition, these firms work to minimize risks for the project owner through single-point responsibility contracts. However, depending on the firm, you may still want to contact an interior designer or architect to help create the exact look you want. Here are some related professionals and vendors to complement the work of design-build firms: Interior Designers & Decorators, Landscape Architects & Landscape Designers, Architects & Building Designers, Photographers. Before deciding on a residential design-and-build company in Milledgeville, GA, think about what you want from your new home. Do you want a large kitchen for entertaining? Do you need several bedrooms for children and guests? Do you want a finished basement for extra space or storage? Look for Milledgeville design-builders that specialize in the areas you're looking for. Budget is obviously a determining factor in the outcome of your project. To make sure you stay within your means, consider making a must-have list and a wish list. Gauge where the estimates are falling to determine which design-build contract can realistically strike the balance between the two. Find a Milledgeville design-build company on Houzz. Narrow your search in the Professionals section of the website to design-build firms in Milledgeville, GA. You may also look through Milledgeville, GA photos to find a pool you like, then contact the design-build firm that created it.